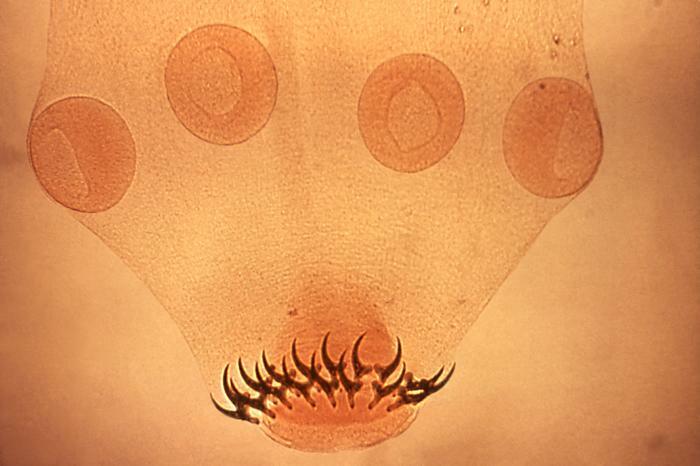 ID#:	5262 Description:	This micrograph reveals the morphology of a Taenia solium tapeworm scolex with its four suckers, and two rows of hooks. In the human intestine, the cysticercus, i.e. larval stage, develops over 2 mo. 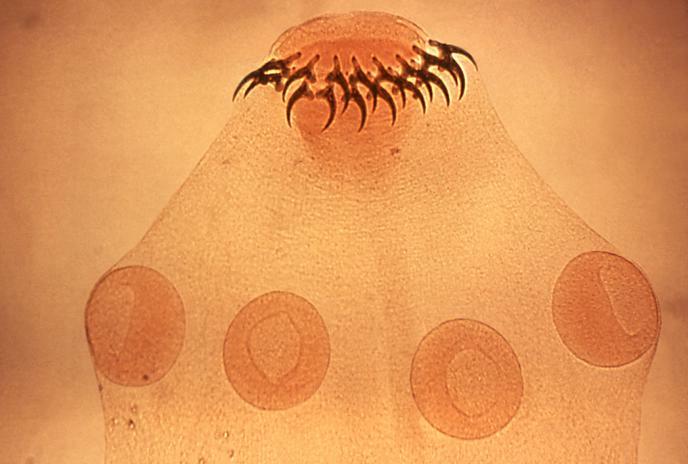 into an adult tapeworm, which can survive for years, attaching to, and residing in the small intestine by using the suckers and hooks located in its head region, or scolex.